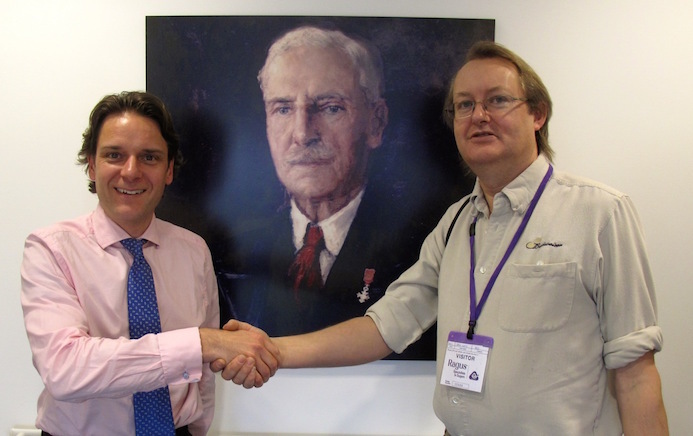 Ben Eastick and Steve Curtis with a portrait of Ragus founder Charles Eastick. Ragus’ Marketing Director Ben Eastick welcomed Steve Curtis, Editor of the Institute’s International magazine to Ragus HQ. 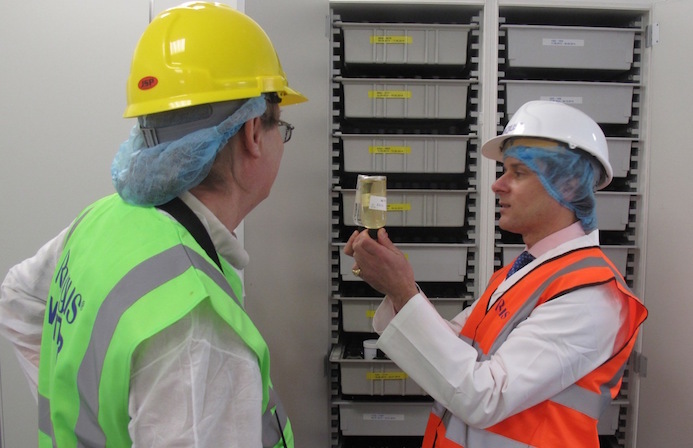 Steve was on a fact-finding mission in connection with an upcoming technical article to cover all aspects of the production of brewing sugars from raw materials to packaging. 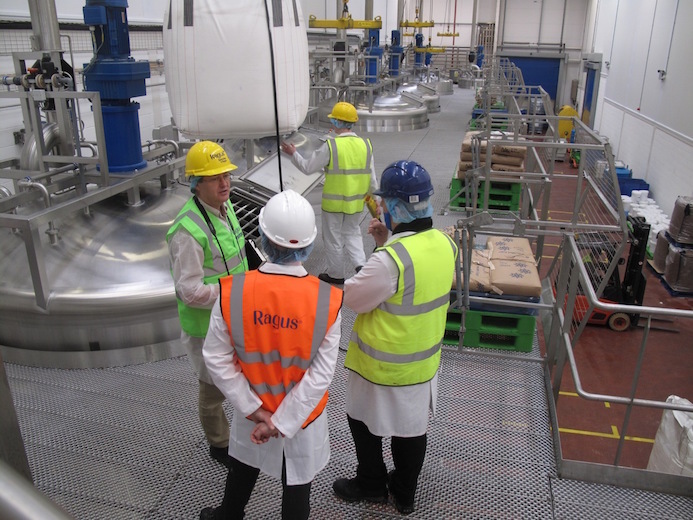 It was also a good opportunity to be reminded of the history of Ragus, brewing sugars past, present and future as well as an inspection of our UK Production facility. Brewing with liquid and block sugars was of particular interest re: benefits and costs. 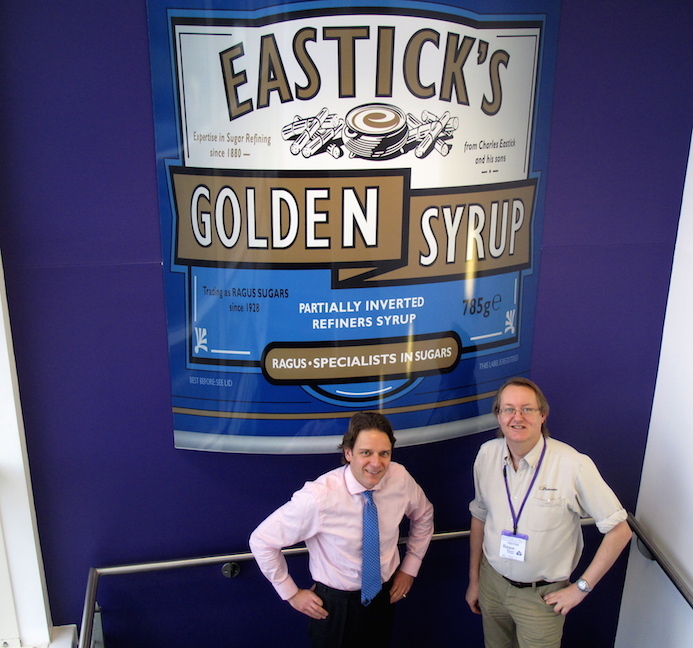 Steve commented “Since the IBDs last visit in 2001 I am very impressed by Ragus technical advancements in the production of brewing sugars & syrups in their new manufacturing facility. It is a huge re-assurance to the brewing industry that Ragus continues to provide quality brewing sugars of the highest purity”. The tour began with a briefing on Ragus’ 86 year history and the range of brewing sugars supplied today. 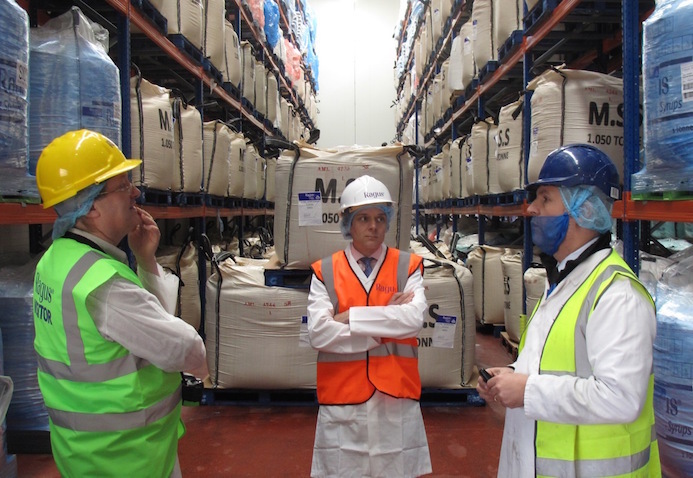 Factory Manager Mel Boyle (centre) took charge of the factory tour. Raw materials from African, Caribbean, Pacific and European countries in the Goods In section. Inspecting inversion pans which are very similar to brewing ‘coppers’. Production samples of brewing liquid and block products are recorded and filed in the laboratory. You are currently browsing the Ragus blog archives for February, 2015.